Photo shamelessly pilfered from John Armato's Twitter feed. 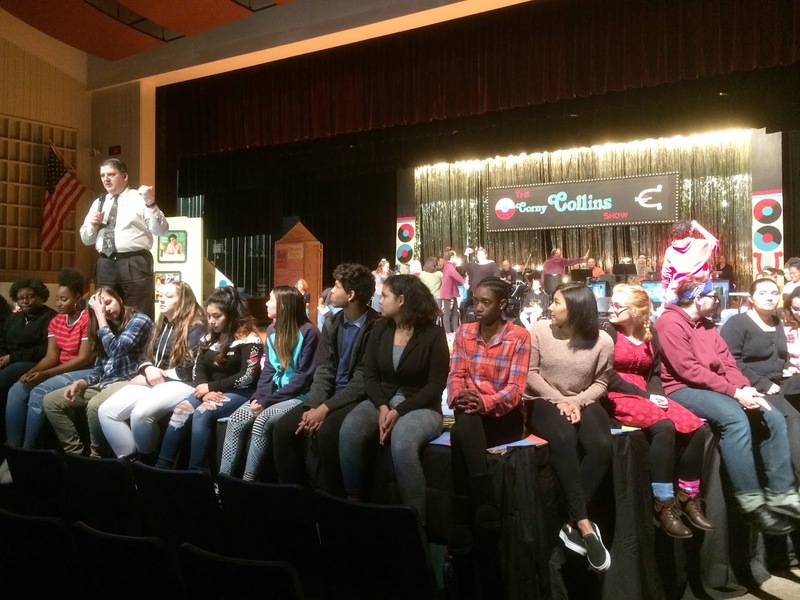 Some of the 90 students who are part of the cast of the high school's upcoming musical, "Hairspray," perform for the Pottstown School Board Thursday night. Sometimes its worthwhile to go to school board meetings just for the entertainment -- literally. 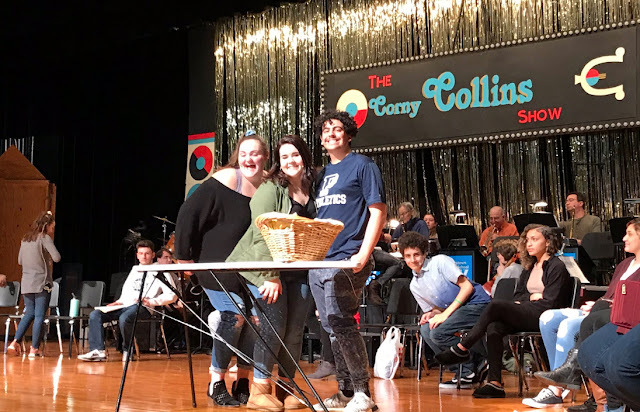 Before things really got too far along last night, the board and those lucky few who were in the audience, were invited into the auditorium to see the more than 100 Pottstown students participating in this year's musical do a few numbers. This production is "Hairspray," and it will be staged for the general public March 1 and March 2 at 7 p.m. and March 3 at 2 p.m. in the high school's Davenport Auditorium. explains some of the particulars Thursday night. producer, said 90 students will perform, more than 112 are participating. Decker added that despite the quality of the last two musicals, "The Little Mermaid" and "The Wiz," the student performances have managed to get get even better. After hearing them perform, it was easy to agree. Then some other stuff happened at the meeting, blah, blah, blah. You can read about it in the Tweets below. It's late and I'm tired.